When I first found iSurveyWorld, I was quite positive, as it looks like a great and legit survey site. However, my perception changed after becoming a member and testing it. In this iSurveyWorld review I will tell you all about what this survey site has to offer, and most importantly I will also tell you why you should probably not expect to ever get paid. So read this review before joining to potentially save yourself a lot of time. If you instead want to go straight to a list of survey sites that are worth your time, you can just click the link below. What is iSurveyWorld and what does the site offer? I must say that iSurveyWorld is a site that surprised me a bit. I have joined and tested MANY paid survey sites, and usually I can spot even before joining, if a site is legit or not. At first sight, I really had high hopes for iSurveyWorld. It looks like a legit survey site, and has some good offers. 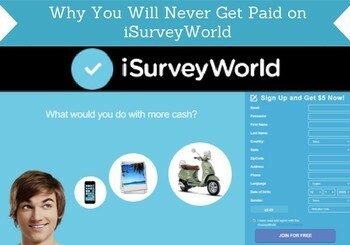 Paid surveys is supposedly the main way you can make money on iSurveyWorld. Usually I like sites that mostly offer this, as they often offer a very good user experience and are very easy to use. However, I have not been able to find any surveys available for me after joining iSurveyWorld. This can sometimes happen, as some survey sites only are available for certain countries. But usually you will then not even be able to join, or there will be other ways to earn. But because of the what else I found on the platform when looking a little more, I highly doubt that anybody will actually have any available surveys there. If you have another experience, please feel free to let me know in a comment below the review. So if you cannot find paid surveys, what can you then find there? Let’s go more into that. One of the things you can find on iSurveyWorld is a list of the top survey sites. At first, I therefore thought that the platform was set up mainly to get you to sign up and then refer you to other actually survey sites, and then iSurveyWorld would get paid for this. I have seen sites like this before and the platform PanelPlace is an example of this. Even though I think it is a waste of time to join sites like this, as they do not provide any valuable information, then at least PanelPlace only refer you to legit sites. That seems not to be the case for iSurveyWorld. The survey sites iSurveyWorld recommends – the links however lead somewhere else. The problem is just that none of the links lead to the actually survey sites. I tested all of them and some of them just took me back to iSurveyWorld, and others took me to a spam offer, where I had to fill out some personal information to get a supposedly high prize of several thousand dollars I just won. So the links to the survey sites are completely useless and seems to just try to get you to sign up for spam offers or give up personal info. Another thing that you can supposedly find on iSurveyWorld is “Freebies”. When I clicked this tab, I was not sure what to expect. Strangely enough, it is just a few offers for survey sites you can join. However, like the links to the top survey sites, these link do also not work, or they take you to a spam offer that has nothing to do with paid surveys or the survey site that they were supposed to take you to. So the freebies are also not a way to make money on iSurveyWorld. However, I did find one way, where I was able to make money. I actually found a way to earn on iSurveyWorld. I got a joining bonus of $5. This is a really nice joining bonus, and few survey sites have this size of joining bonuses. One of the few other survey sites with this high a joining bonus is Swagbucks, which is a really good site. However, on Swagbucks you can actually get something out of your joining bonus, but as I will explain later, you should not expect to get much out of your joining bonus on iSurveyWorld. If you managed to earn money on iSurveyWorld, there is only one way you can get paid. That is through PayPal. PayPal is the payout method on iSurveyWorld – if you ever make the threshold! I love survey sites that pay through PayPal, and it is in general my preferred way of receiving rewards. But that does not help much on iSurveyWorld, as it is not possible to ever get a payment in my experience. On iSurveyWorld the payout threshold is $25, which means you have to make this amount before you can get paid. As you can see from my explanation above, it seems very unlikely that you will ever get to this amount. The only way I was able to earn was the joining bonus. That is however far from enough to get paid, so that is why you should not expect to get anything out of your bonus. There are however also other reasons you should not expect to ever get paid on iSurveyWorld. Why you should not expect to get paid? The obvious reason that you should never expect to get paid from iSurveyWorld is of course that there are not really any ways to earn money and reach the payout threshold. But let’s say you want to give iSurveyWorld the benefit of the doubt and test, if it might offer surveys in your country. Then I want to show you other signs that you should not expect too much from joining, as it has several signs that it is a platform to be careful about. After you sign up, you do not go directly to your iSurveyWorld dashboard. You instead have to go through several screens with “special offers” for you, before you get to the actual member area. These offers are all links to spam sites or get-rich-quick sites that will potentially end up costing you a lot of money, if you join any of them. That you are bombarded with this kind of offers already in the joining process is a clear sign that the main goal of the website is not to help you earn on surveys, but to get you to click all kinds of scam/spam links. 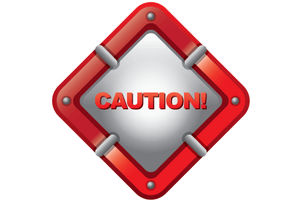 If the main goal of a site seems to be to get you to click spam links, then it should raise a red flag, and it is a clear sign that you should not expect to ever get anything out of the site. What to be careful of, if you want to join? If you despite my warnings above still decide to give iSurveyWorld a try, then there is a couple of things you have to be careful about. When you are joining, you have to give your phone number. This is very unusual for a survey site to ask about in the joining process. Sometimes you need to use it to confirm your account, but that is usually after you have joined and can see the site is legit. With the signs I have shown you in mind, I would advise you not to give your real phone number. Who knows what it will be used for, and you do not want to give your number to a site that is full of spam. Furthermore, be careful about the offers that you will presented to in the joining process. They might sound tempting or like a quick way to get rich, but be aware that they will very likely end up costing you money instead of earning you any. So overall, if you want to test iSurveyWorld for yourself, just be really careful and do not join any offers that cost money. As you can see, I am not a fan of iSurveyWorld. But let’s sum up the pros and cons to make it even more clear why that is. There are not many pros about iSurveyWorld in my opinion. And the few that are do not really matter, when you take the cons into consideration. For example does it not matter that there is a good joining bonus, if you can never get to the payout threshold. Overall, iSurveyWorld is a survey site I would recommend you to stay away from, as it is a waste of time in my opinion. If you have any comments, questions, or have any experiences with iSurveyWorld yourself, feel free to leave a comment below. iSurveyWorld is just a waste of time. You get a good joining bonus, but it is not worth anything, as you will never be able to earn enough to get paid. The platform is instead filled with spam links that will give you no value at all, and in the worst cases they might end up costing you money. Thanks for the warning! I think I’ll steer clear of isurveyworld! I’m glad I read your review. The cons for this survey company seem to outweigh the joining bonus. I hate getting bombarded with ads after signing up for something! Honestly, I’ve tried to make some money with paid surveys with very little success. How have you made money with paid surveys? It seems like it takes a ton of time to fill out the survey for just a few dollars. I’d love to know your tips for earning with paid surveys. The key to make money with paid surveys is first of all to join the right survey sites for your country. And then it is also important to remember that paid surveys is not a way to get rich or to make a full-time income. With the right expectations and by joining the best sites, you can make some really nice extra cash. 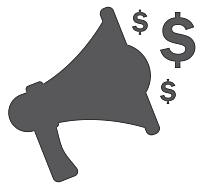 You can also check out my article about the keys to success with paid surveys for more tips. 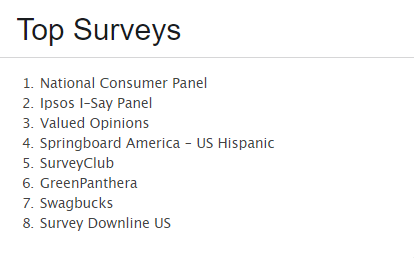 I’ve done surveys for a lot of platforms over the years, but this is the first time I’ve come across iSurvey World. Man, this one sounds like a total scam. I came across a platform like this some time ago that did the same thing, but I can’t remember the name of it now. So basically they’re just sending you to scammy offers to try and get your details or something. Forget that. I’m glad I read your review and didn’t just happen to join this place. Yes it seems like the site is meant to just direct you to spammy offers. I clicked more or less all the links on the site to test it, and I did not find one single link that took me to what it said it would. So definitely I site I would recommend NOT to waste your time on.